For the past year or more I have run the "EnglishBreakfastNetwork", an oddly-named machine that applies some kinds of automatic checking to the KDE codebase; the machine applies tools, counts up errors and presents both summary information and detailed logs to developers in a dashboard-style interface. The checking that is done is of a fairly basic nature: API documentation and user documentation is checked for syntax and completeness; basic coding style and code licensing is monitored as well. Plans exist for more checks: a build bot, static checking, UI testing to start with. The challenge of the EBN is to develop the checks or integrate existing Free Software checking tools to get the numbers on the issues in the codebase. Once we have the numbers, a new challenge presents itself: how to present the numbers in a fashion so that developers can do something with the numbers. In the end the idea is to make the numbers go down and the quality of the codebase go up. I will present the design and implementation of the EBN; I would like the audience to help out with new checks and new presentation forms to improve the efficacy of the system. A Canadian by birth and a Dutchman by accident, Adriaan de Groot spends his days promoting Open Source ideals in Dutch high schools and his nights working on Open Source quality projects. 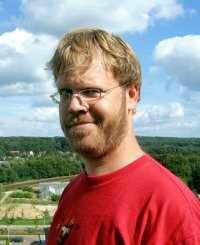 He is employed by the department of Computer Science at the University of Nijmegen for the CodeYard (Open Source in high schools) and EuroQuis (quality standards for Open Source SME vendors). He is finishing his PhD. in formal verification of embedded systems at the same university. Adriaan has hacked and patched his way through a large number of Open Source projects under the motto "if you're not prepared to fix it, don't use it." He ended up as a KDE contributor after complaining about fonts in an application. He now works primarily on code quality within KDE, collating and processing automated quality checks in order to give an indication of the state of the KDE codebase. Areas of further interest include static checking, code style extraction and documentation standards.